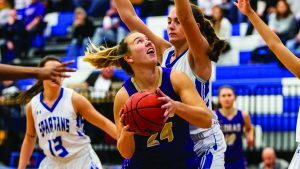 The Loras College women’s basketball team electrified the gymnasium of their cross town rival University of Dubuque Spartans last Wednesday night, Nov. 28. 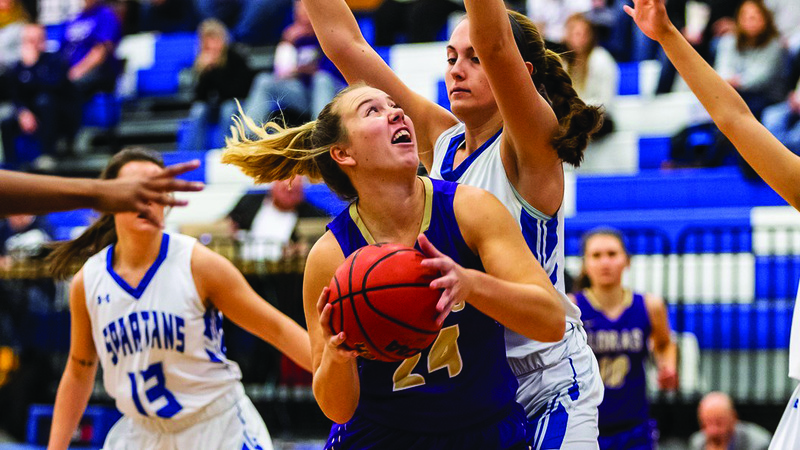 The entire Loras lineup performed well against cross town rival with four players scoring double digits in an American Rivers Conference match-up. The Duhawks started off with an 18-1 run through the first six minutes of the game. This gave Loras a 15-point lead over the Dubuque Spartans. This forced five straight turnovers and eventually a momentum timeout by the University of Dubuque coach. Junior guard Macenzie Kraemer and junior Kari Fitzpatrick both tallied 16 points each for their team. However Kraemer and Fitzpatrick weren’t the only ones who scored double digits. Senior forward Hanna Stokes added 15 points and sophomore forward Marissa Schroeder contributed 13 points. Senior forward Hanna Stokes looks for room to maneuver agaist the University of Dubuque defense. She eventually was fouled on the play.Loras defeated the Spartans, 93-71. Four players totaled for 60 out of the 93 points scored by the Loras Duhawks. In addition, Kraemer finished with a career-high of four steals. Stokes finished with a career high of 15 points and finished 6-9 on the floor. Fitzpatrick also finished with a career high of tallying three three-pointers made. Finally sophomore forward Courtney Schnoor recorded a personal season-high of eight rebounds to go along with eight points she scored for the team. “We really focused on getting defensive stops and transitioning which allowed us to have such a hot start to the game,” said Schroeder. The Duhawks were ready to plays this past Saturday, Dec. 1, however due to rainy weather conditions and the fear of safe travels, the American Rivers conference match-up between Loras College and Buena Vista University was cancelled. The game will be made up at a time that is to be determined by the ARC. The next assured time the team will play the Buena Vista University Beavers will be Jan. 21. Nonetheless, the women’s basketball team takes on the Lake Forest College Foresters this Saturday, Dec. 8, at 8 p.m. here at Lillis Court in the Athletic Wellness Center. The game will be broadcasted live with Loras College Television Live Sports. 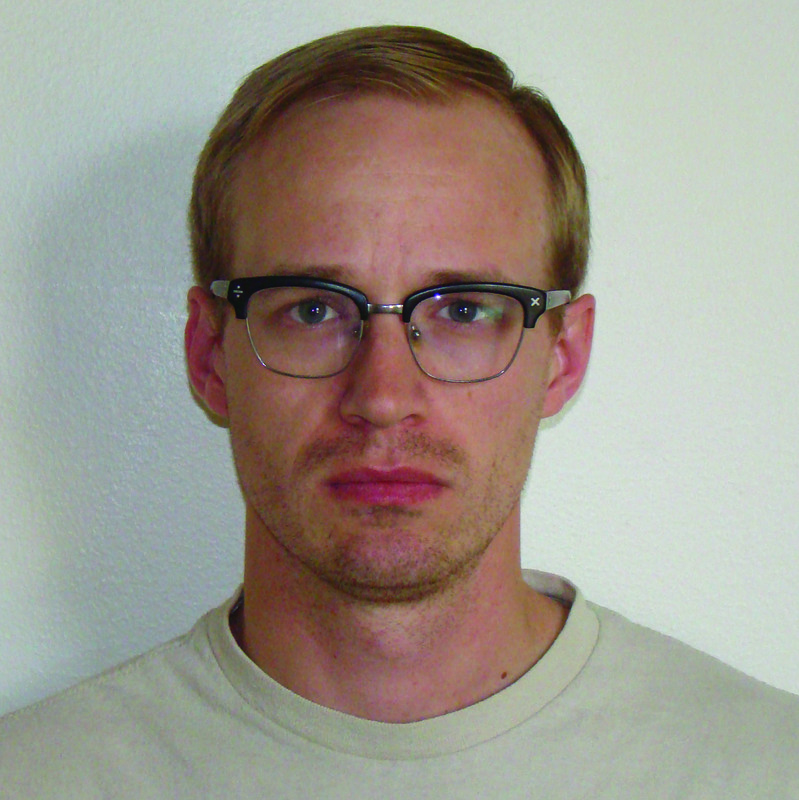 Has Augusta lost its gusto?